Welcome to Nyla's Crafty Teaching... for teaching tips, classroom ideas and teaching resources! Last week, my class started symmetry for mathematics. I made these worksheets for them. The first one is for vertical and horizontal symmetry only, which has an answer key, and the other worksheet is for vertical, horizontal and diagonal symmetry, also with an answer key. Grab it here as a free downloadable Google doc (no logging in is required!). You can also download it for free from my Teachers pay Teachers Store. Im a new follower... I just found you tonight! I love your blog - I just found you. Great symmetry stuff. I am your newest follower. Come on by and visit me sometime. Thanks, these are very practical. I like that they are easy to cut out and fold. I've been using something similar, but the kids can't really cut the shapes out to experiment. Your site is so awesome that I want to award you your second Lovely Blog award in one day. How have I not come across your blog before this??? You are so inspiring! Thank you for the *freebies* and all of your great ideas and resources. I have lots of *freebies* that I would love for you to come grab when you can. I love this! We're talking about friendship and love for valentine's day, and I'm going to use these to teach EQUAL PARTS (as in sharing with a friend) Thanks! We are using this today. Thank you! 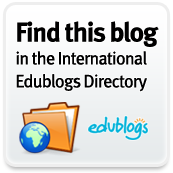 As a Caribbean primary school teacher, I share my unique classroom with the world through this blog. Readers step into my class through the pictures, articles and classroom samples of games and lessons used in my class. I have been teaching since 2005 at the std. 4 primary level in Trinidad and Tobago. I am particularly interested in sharing my own personal lesson plans, tests and activities. 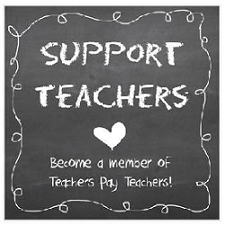 Teachers need to share ideas and support each other because in doing so, we help to educate our students and develop ourselves as teachers. Technology is ever evolving and we as teachers should get on board with it, collaborate and keep up to date with this new age that we live in. Our students belong to this technological era and we must embrace opportunities to learn from each other in this global community. I also love to express my creativity in the classroom. I am a bit of a craftster . So I'm always cutting, gluing or making something... a game, a chart, a learning center, etc. 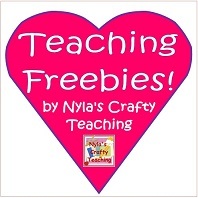 So, teachers and parents, feel free to stop by and see what's new at Nyla's Crafty Teaching! Leapin' Leap Day Sale was a Hit! Laura Candler explains Graphic Organizers! Visit Nyla's Crafty Teaching's profile on Pinterest. 10 Tips for Laminating your Printables! List of Story Books for Boys and Girls... to keep them laughing and loving to read! © G. Nyla Phillips-Martin 2011. Powered by Blogger.